Fears that electric cars were too slow or lacked range have been disproved by a full-scale trial in the West Midlands by the CABLED group (Coventry and Birmingham Low Emission Vehicle Demonstrators). This is a £25 million project to test 110 low-carbon vehicles. 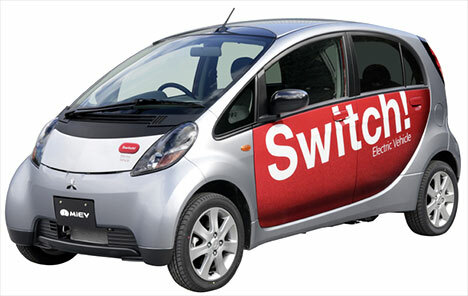 In the largest trial of electric vehicles in the UK, 22 Mitsubishi i-MiEV cars were driven by members of the public and the results recorded. Drivers quickly learnt to charge their cars overnight, so they would be ready for the morning, just like many people do for their laptops and phones. Two of the objections to electric cars were found to be groundless, the i-MiEV is capable of 80 mph so can drive on motorways, and during the winter, cold weather of -10° C did not impair functioning, though people drove less, which is the same as for conventional cars. If all UK car journeys of less than 50 miles were made by electric rather than conventional vehicles, Arup believe that the savings in CO2 on a well to wheel basis would equate to taking 7.5 million cars off the roads. Whilst it may take many years to achieve this with a switch from conventional to electric vehicles, huge CO2 and energy savings will be possible as the UK grid integrates more renewable energies. Brian Price, of Aston University says, “Collecting data from real-world usage of electric vehicles through our satellite mapping and on-board telemetry has been essential in understanding the actual demands and requirements placed on EVs by the end user. The journey data gathered is already showing that the current generation of ultra low carbon vehicles are cheap to run as well as being comparable to petrol and diesel vehicles for speed, ease of use and daily journey distance; using less than 30% of total charge in typical daily use." Carbon Managers will be bringing you more details of this interesting trial in future blogs.